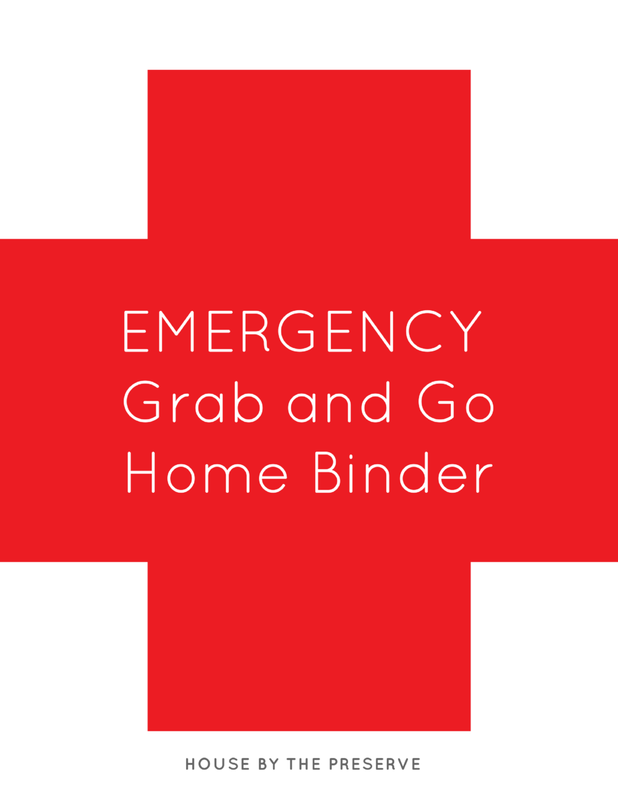 Getting your home uncluttered and organized can be a daunting task. There are so many areas, closets, and rooms in a home that can easily become over taken with "stuff" if you aren't careful. I believe that getting to these areas on a yearly basis is the key to maintaining your home in the clutter free zone. A way that I tackle clutter in our home is by creating a chart for myself where I list each room, closet, and/or space in my home as a reminder of the areas that need attention. At the beginning of the new year, I print out my chart and begin to tackle my list, day by day. If I'm lucky, I'm able to get through the entire house within a month. We all know that life with a toddler can be unpredictable, so whenever life happens, it may end up taking me 1-2 months. The key to this plan is to do what you can, when you can. I strive to do something every day, but if I'm unable to, then I just pick it back up once I have more time. By having my decluttering plan printed out and hanging right by fridge, it serves as a constant reminder of what I need to do and it also serves as encouragement as I get to cross off each box as I complete a space. There's nothing more satisfying than checking off something from your list, right?! On the left hand side of my decluttering calendar, I keep a TO DO section where I typically list out specific tasks that I want to accomplish. For example, when tackling the pantry, I wanted to make sure that this year I focus on getting storage containers to free up space and help with organization. I try to focus on 1 room and/or closet per year where I focus on investing organizational items for that space. Organizational items can get pretty expensive, so I tend to limit myself to just one space per year so that I can fully dedicate my resources to that space. Last year we invested in closet systems for our master closet, this year we are planning on tackling our pantry and I can't wait! Thank you! I can't wait to have you be a part of the House of the Preserve tribe! Click here to download your FREE 30 Day Decluttering Plan. Want your very own 30 Day Decluttering Plan for your home? 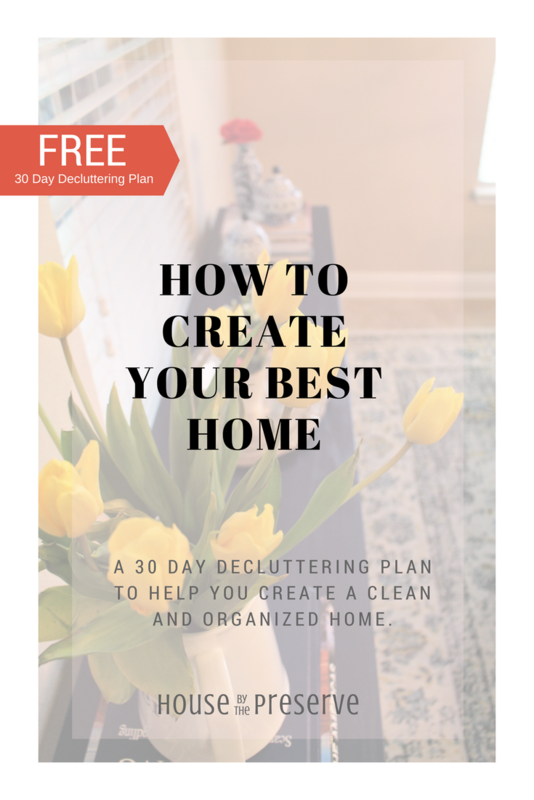 Enter your email below to get access to your FREE 30 Day Decluttering Plan and get one step closer to creating your best home! By signing up you will also receive my weekly newsletter where I share even more tips and tricks but don't worry, I'll never spam you!